Garage Doors, Muskoka, ON | AAA Door Guys Inc.
We offer service, maintenance, and replacement of garage doors for customers in the Muskoka, ON area. Most homeowners store a lot of valuables in their garages. Between cars, tools, equipment, and other pricy items, you could have several thousand dollars sitting in your garage at any given time. 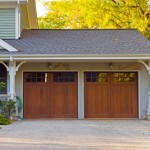 Garage doors provide protection from theft and damage, but if your door isn’t in good condition, you could be at risk. At AAA Door Guys, we offer service, maintenance, and replacement of garage doors for customers in the Muskoka, Ontario area. We carry products from the top manufacturers, which can help give you better peace of mind when you are away from your home, knowing that your personal possessions are safe. For many people, an attached garage also offers direct access to the home. If you have a broken or damaged garage door, this outdoor space might be cold and drafty. Because we understand the urgent nature of a damaged garage door, we offer 24-hour emergency service, 7 days a week. If something goes wrong, feel free to contact us, and we will send someone out right away. We also provide a maintenance program for garage doors in the Muskoka area. During this process, we use a 10-point inspection system to make sure every component of the door is working properly. We look at springs, rollers, cables, tracks, hinges, brackets, drums, bearings, and weather strips, assessing for signs of rust, rot, or other damage. If we can find a sign of one or more of these problems, we can repair it before the door stops working completely. 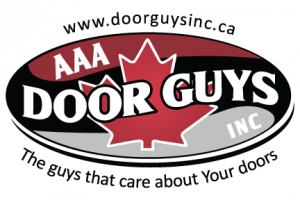 At AAA Door Guys Inc. we offer quality and affordable garage doors in Muskoka and the surrounding areas including Innisfil, Orillia, Angus, Barrie and throughout Simcoe County!